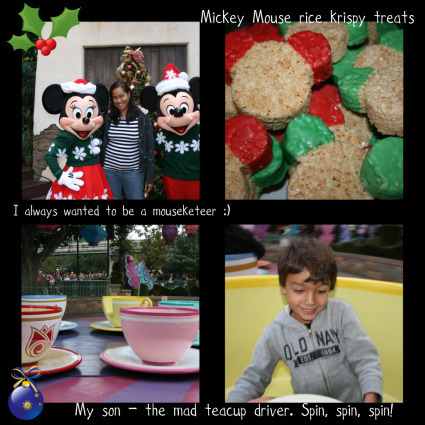 Well, that’s what it’s turning out to be… check out my blog post at OC FAMILY about spending a day at the happiest place on Earth during the holiday season. Next week we’re off to see Disney on Ice! Want to come to? Get a special discount code in the PROMO page of this blog. PS. Can’t get the song – It’s a Small World off my mind. My four year old keeps singing it -thanks to the commercial on tv. Check out this video clip from 1964. When are you going to see Disney on Ice? We are going on 12/26 @ 12 noon with family. I think. We’ll be there Tuesday night 12/22. If you haven’t bought your tickets, remember to use the discount code in the promo section of this blog. Happy Holidays! Thanks for sharing such great pix & vid! It’s A Small World is my FAV and starting in Jan we have Give A Day, Get A FREE Disney Day for coming to beach cleanups!